We at Technostalgia manufacture high quality, LED stop lights for classic cars as well as one of a kind auto accessories. Our products replace dim bulbs with very bright LED arrays specifically designed to bolt-in to your car. Kits come complete with all hardware and wiring. Prices start at $79.95. We knew from the start that the all new Camaro was a hot car. That's why we decided to make it our newest focus as we dove into the late model market with our sick LED, feature packed tail lights for the 2010-12 Camaro. "They were a snap to install and I'm sure my insurance agent is as happy as I am that the Chevy is visible from the rear. Thanks for a great product." "The best product I ever bought for my street rod. The quality of the workmanship is outstanding, the complete assembly is easily installed, and the slick custom fit is perfect." "I have just installed my new tail lights on my ’40 Ford Tudor, and they fit perfect..."
"ABSOLUTELY INCREDIBLE. I can't begin to tell you how thrilled I am with the fit of your lamps to the fender, the finish of the lens and high polished bezel and even your thorough instructions." Established in 2001, Technostalgia has grown to be the go to company for innovative LED lighting products by continuously pushing the envelope with new features and products for the hot rod market. Starting with the ’57 Chevy retro-fit kit the company has expanded its current product line to over 100 part numbers ranging from the iconic Model A to an ’87 pick-up. 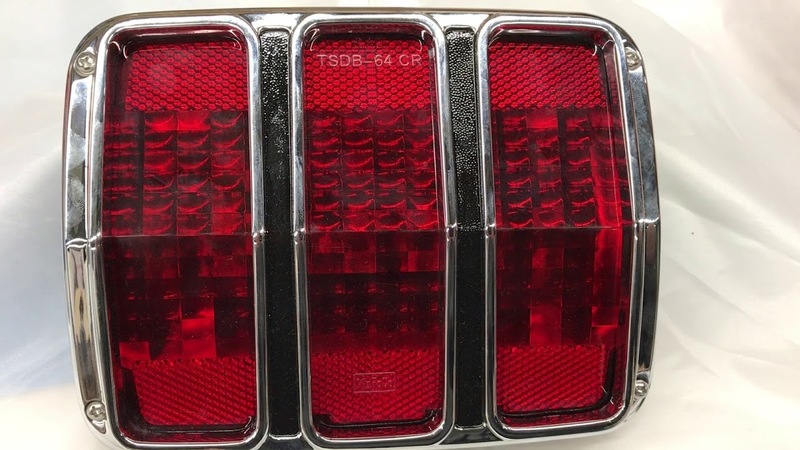 Technostalgia recently decided to set its sights on the late model car market with our new, feature packed 2010 Camaro LED tail lights. We offer a wide variety of LED products including retro-fit kits and complete assemblies. We also manufacture retro-styled air cleaners and valve covers to give your classic engine the finishing touch it needed. We stand behind every product with a rock solid warranty that covers virtually anything. We are able to do this because we take every precaution when designing, manufacturing, and shipping our products. We offer a very knowledgeable staff ready and willing to answer any question a customer might have regarding product details, installation, warranty, or anything else that might come up. What is an LED and why is better than a regular bulb? LEDs are the heart of our product, so we use the best quality LED on the market. Our LEDs have four attachment points to the printed circuit board for durability and a wide viewing angle for maximum visibility. 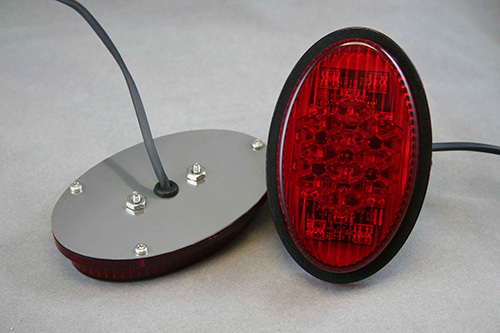 This type of LED has a square shape and is designed specifically for automotive use. Beware of our competitors that use sub-par “jelly bean” shaped LEDs. How long do your kits take to install? Installation time really depends on the product, but as a rule of thumb our lights will take anywhere from 10 minutes to an hour and a half to install. We provide a detailed set of instructions with every kit to make the process as smooth as possible. Where can I purchase one of your products? We offer a complete where to buy list which displays all of our current certified vendors.